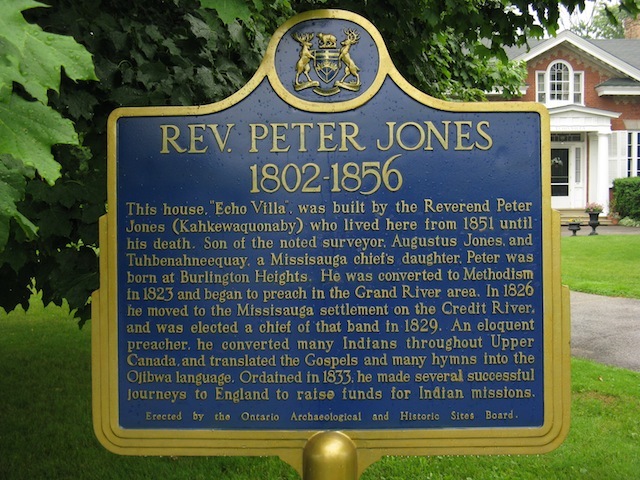 This house, "Echo Villa", was built by the Reverend Peter Jones (Kahkewaquonaby) who lived here from 1851 until his death. 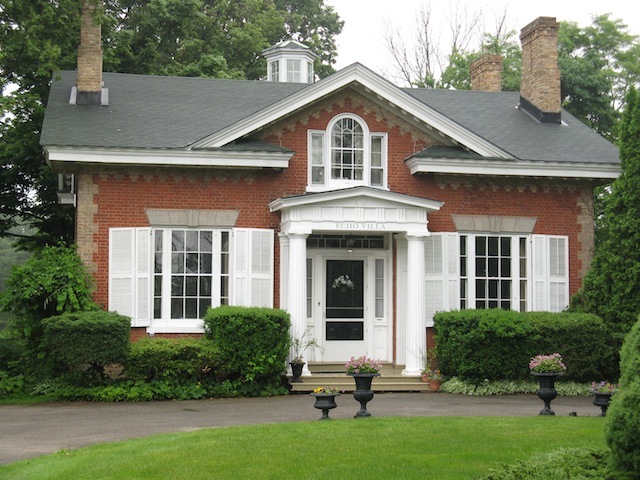 Son of the noted surveyor, Augustus Jones, and Tuhbenahneequay, a Mississauga chief's daughter, Peter was born at Burlington Heights. He was converted to Methodism in 1823 and began to preach in the Grand River area. 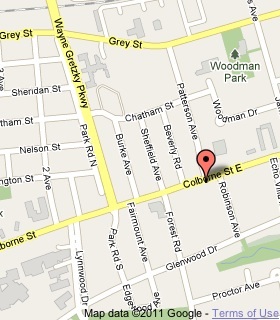 In 1826 he moved to the Missisauga settlement on the Credit River and was elected a chief of that band in 1829. An eloquent preacher, he converted many Indians throughout Upper Canada, and translated the Gospels and many hymns into the Ojibwa language. 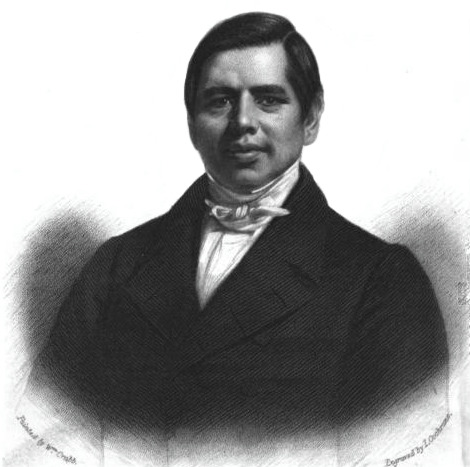 Ordained in 1833, he made several successful journeys to England to raise funds for Indian missions.